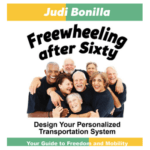 While many of us gave up our bus pass for a driver license it’s time to rethink transportation. Surprisingly using public transit may extend your ability to drive. In addition, it may also add quality of life in retirement. Many consider strength and agility when it comes to aging well. However, mobility is also an important factor. The ability to move with a full range of motion easily is an asset to independent living. By using public transit older adult can quickly improve their mobility through increased walking. Now, this is where planning is involved. For someone who often drives and exercises infrequently short trips using public transit is a way to gradually build up strength. In addition, it’s also an opportunity to learn how to use the local transportation system. Currently, many transportation agencies offer travel instruction programs designed for older adults. These travel training programs are offered at no cost and funded through grants. During training sessions, participants learn how to plan a trip, purchase a fare, and use safety features. More importantly, they gain practical experience by traveling in their community. Often adult programs offer a series of sessions to reinforce learning and use of practical skills. Equally important travel instruction session reduce social isolation among the elderly. Frequently adult learners who participate develop friendships and informal travel buddies. Group travel can build social connections central to physical and mental well-being. Though programs focus on the technical skills of learning to use transit the social aspect also benefits participants. If you are ready to try travel instruction contact your local transit agency for more information. For communities lacking this service please call for information on starting a program.